A gentle introduction to the world of triathlon. Starting with a 250m indoor swim, followed by a 13km cycle and a 4km run. 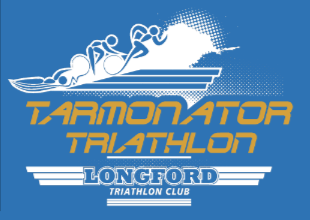 Run by our local friends and rivals, Longford Tri Club, the Tarmonator Triathlon is always a popular race with our club members. The race starts from Tarmonbarry’s harbour with a handy swim in the Shannon, followed by a fast out-and-back flat and a looping run around the immediate locale. A good choice for anyone and so close, you could use the trip over as a warm up! They also have a Kidathon the evening before.